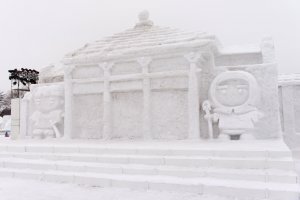 The Iwate Snow Festival is held around the south part of Mount Iwate, including the Makiba area in Koiwai Farm every February, and known as one of Tohoku's 5 Great Snow Festivals. 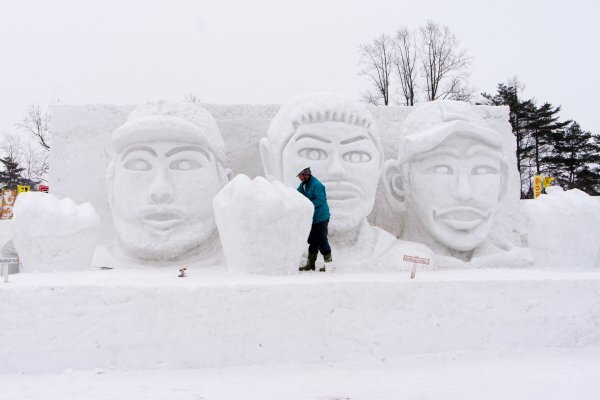 Snow monuments large and small can be marvelled at – works of art in various shapes and sizes made by almost 4,000 people. 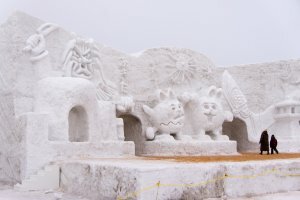 Visitors can also join in the fun by sledding down a large snow slide, and riding a horse sleigh or snow train. 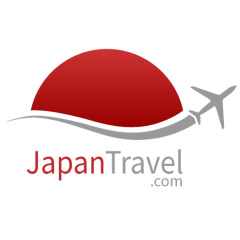 In the evenings you can appreciate a light display and fireworks against the winter sky. 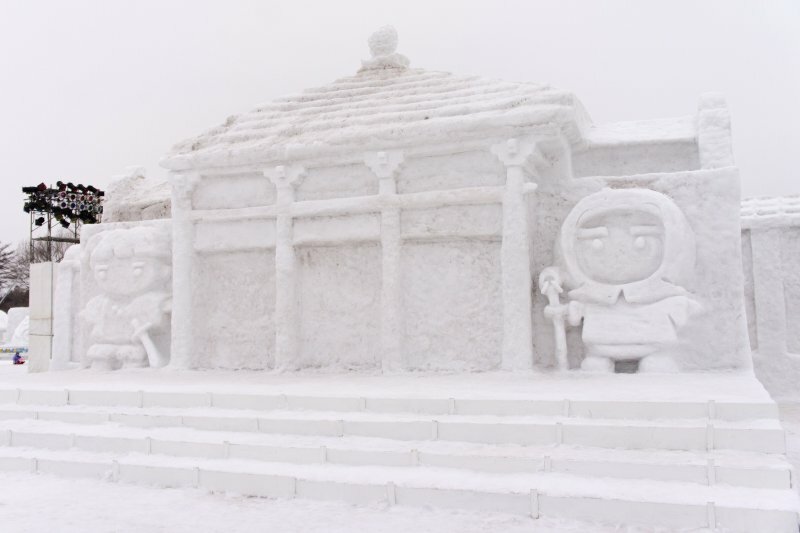 Why not try some of the local food, such as Genghis Khan (Japanese-style grilled lamb) or milk ramen, from inside one of the snow domes, known as Kamakura. Koiwai Farm itself is well-known for its milk and cheese dairy products. This looks like so much fun! Love the creativity!